That quote is way taken out of context. As is the implication that I “Don’t want to do Fall Out Boy when I’m 40,” (which is literally not a quote of mine). All I meant by any of it is that I don’t want to wait until I’m 40 to do another Fall Out Boy record, and if it takes that long, then I won’t do one. I am confident that we’ll have a record out sooner than later but there are currently no plans, no “2 years”, no “6 years”, no parameters. It might happen later than any of that, it might happen sooner. It is literally, as it’s always been, an indefinite hiatus. We never did breakup, we’re still friends, and we still would like to make music together. That said, I’d like to formally put this issue to rest. I think I’ve talked about it enough in the past two years and if anything it’s silly talking about hypotheticals in detail. Who knows? I promise I will let everybody know as soon as there are concrete plans or if anything changes, but from here on until Fall Out Boy does have actual news, I’m going to just not talk about it. That’s not saying anything negative or sour about the ongoing appreciation of Fall Out Boy fans, I’m very honored to be a part of something that has such a dedicated audience, I’ll see all of you if/when the band works on a new record or tour. Until then though, I’m just gonna shut up about it and focus on Soul Punk and hopefully ongoing tour. 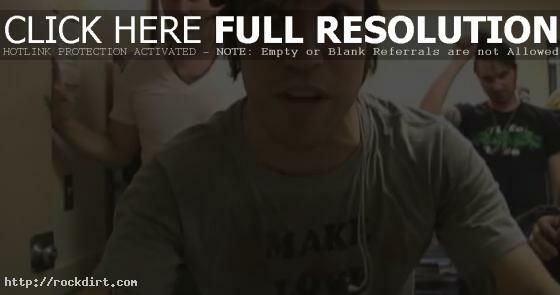 Just after Pete Wentz talked about not knowing the future of Fall Out Boy or if it would include him, the band’s frontman Patrick Stump tells Spin.com he’s not in the band. 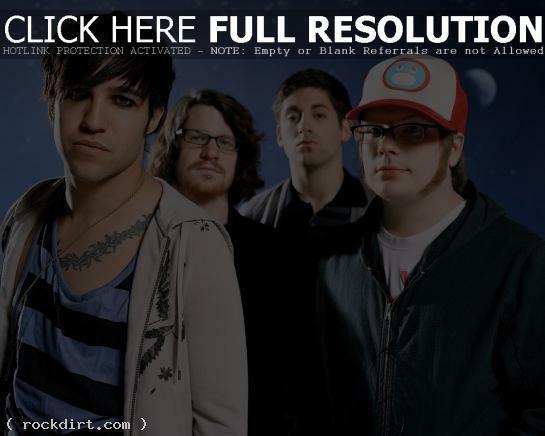 I don’t know the future of Fall Out Boy. It’s embarrassing to say one thing and then have the future dictate another. As far as I know, Fall Out Boy is on break. (no one wants to say the “h” word). As much as I don’t have a solo project, I also can’t predict that I’d ever play in Fall Out Boy again. Not due to personal relationships as much as a band we grew apart. In this statement I’d like to include there is the possibility that FOB will play again with out me or I will be a part of it when everyone is on the same page. It is no one’s fault and there is no animosity about the decision. I felt as fans you deserve to know. There is no singular reason for this. The side projects or bands are supported by all members of the band. I am the single biggest fan of FOB and if this is our legacy than so be it. I am proud of it. Fall Out Boy are out with the video to their new single ‘Alpha Dog’, off the Illinois rock group’s compilation album ‘Believers Never Die – Greatest Hits’, out now on Decaydance/Island/Fueled by Ramen. Watch the montage of previous music videos and live concert footage below. Fall Out Boy are out with the video to their new single ‘What A Catch, Donnie’, off the Wilmette, Illinois rock group’s fifth studio album ‘Folie à Deux’, out now on Island Records. Watch the Alan Ferguson directed video below. Jordan of andPOP sat down with Joe Trohman and Andy Hurley of Fall Out Boy, talking about their success, how the attention Pete Wentz gets and his marriage to Ashlee Simpson impacts the band, where they’re at with new music. Watch the interview below. Patrick Stump of Fall Out Boy was photographed exiting the London NYC Hotel in New York City on Tuesday (August 11). Check out pictures from bauergriffinonline.com. Fall Out Boy performs on ‘Late Night with Jimmy Fallon’ (NBC) on Monday while bassist/spokesmodel Pete Wentz appears on ‘It’s On with Alexa Chung’ (MTV) on Tuesday. 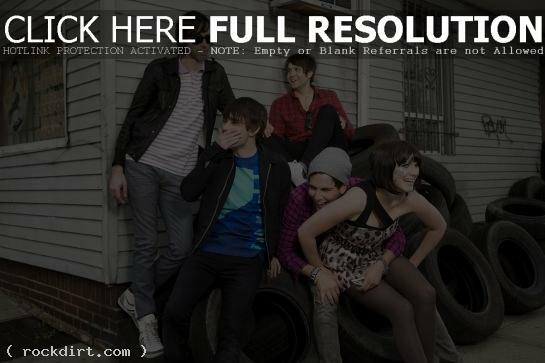 Cobra Starship performs with Estelle on ‘The Tonight Show with Conan O’Brien’ (NBC) on Tuesday. Fall Out Boy visited the ‘Today’ show in New York City on Friday (May 22), talking with co-host Matt Lauer about their latest album ‘Folie à deux’ and their Twitter contest. The band performed ‘Dance, Dance’, ‘What a Catch, Donnie’, and ‘Thnks fr th Mmrs’. The previous musical guest Jennifer Hudson also posed some questions for the band, including who they like to follow on Twitter and whether Pete Wentz baby boy Bronx Mowgli has said his first words yet. Watch it all below. White Rabbits, who perform on ‘The Late Show with David Letterman’ (CBS) on Monday. blink-182, who perform on ‘The Tonight Show with Jay Leno’ (NBC) on Monday and Tuesday. 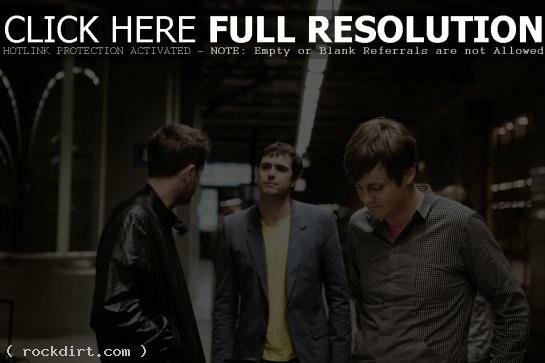 Keane, who perform on ‘Last Call with Carson Daly’ (NBC) on Tuesday. No Doubt, who perform on ‘The Ellen DeGeneres Show’ (Syndicated) on Tuesday and ‘Jimmy Kimmel Live’ (ABC) on Wednesday. Grizzly Bear, who perform on ‘The Late Show’ (CBS) on Wednesday. Hensley, who perform on ‘The Late Late Show with Craig Ferguson’ (CBS) on Wednesday. The Airborne Toxic Event, who perform on ‘Last Call’ (NBC) on Wednesday. David Cook, who performs on ‘The Ellen DeGeneres Show’ (Syndicated) and the finale of ‘American Idol’ (FOX) on Wednesday. Billy Boy On Poison, who perform on ‘Late Night with Jimmy Fallon’ (NBC) on Thursday. The Kills, who perform on ‘Last Call’ (NBC) on Thursday. Green Day, who perform on ‘The Colbert Report’ (Comedy Central) on Thursday and ‘The Late Show’ (CBS) Friday. The Decemberists, who perform on ‘The Late Late Show’ (CBS) on Friday. Fall Out Boy, who perform on ‘Today’ (NBC) on Friday. Glasvegas, who perform on ‘Last Call’ (NBC) on Friday.